Dairy Crest Limited and a Manchester based welding company have been fined for exposing employees to potentially fatal asbestos containing material at an industrial site in Devon. Asbestos dust and fibres were released during work to remove industrial boilers, associated fixed pipework and a boiler house at a redundant Dairy Crest site. The dangerous material remained exposed until a clean-up operation belatedly commenced two days later. The national dairy company was prosecuted alongside Rochdale Electric Welding Company Limited (REWCO), after the HSE identified failings with the planning of the job and a lack of training for workers involved. Plymouth Crown Court heard that Dairy Crest had agreed to sell boilers from the redundant plant, plus another site in Somerset, to REWCO, with the welding firm also dismantling all associated fixed plant pipework at both sites and demolishing the boiler house in Devon as part of the purchase. The HSE established that REWCO began removing the boilers at the Devon site without carrying out sufficient enquiries in advance to determine whether asbestos was present. Dairy Crest had carried out a suitable survey for asbestos material some years previously, but they failed to pass on this report. 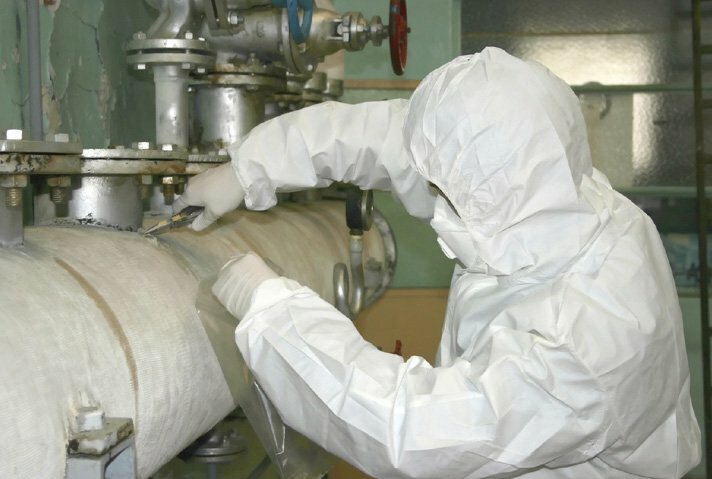 Three REWCO workers carried out the removal of the boilers and pipework while wearing normal work clothes that became contaminated with asbestos dust and fibres. As a result all three were exposed. HSE inspectors visited the site and found widespread contamination. Steps were immediately taken to prevent any further risk to anybody on the site or nearby. Dairy Crest Limited, was fined £12,000 and ordered to pay a further £22,214 in costs after pleading guilty to a single breach of the Control of Asbestos Regulations 2006 in its capacity as the main duty holder for the site. Rochdale Electric Welding Company Limited, pleaded guilty to two breaches of the same legislation for its role in undertaking the work. The company was fined a total of £8,000 with £13,786 in costs.